It’s been over 3 months since I officially started blogging. I still consider myself a newbie in the blogging world. There are still a lot of things to learn but I'm enjoying every minute of it! So it was a total surprise when fellow blogger Beng Beng of My Longkang left me a comment about him giving me an award. I quickly hopped over to his blog and there I found this award waiting for me. Well, I have to admit that he is one of my regular readers and it feels good to be recognized by him. Thanks Beng Beng! As promised, I have now placed this award on my blog and in keeping with the tradition of this award, I will now nominate seven blogs that I sincerely feel deserve it as well. By the way, I read lots of great blogs out there and it was not easy to present this to only seven of them. And so, here’s my seven recipients of this award in no particular order. Now, for those who receive this award, there’s a little “reciprocal” rules that you must do. I didn’t make this rules, so it’s up to you to make a link back to me or not. 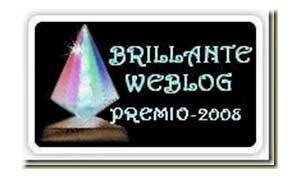 The award may be displayed on a winner’s blog. Add a link to the person who you received the award from. Then add their links to your blog. Add a message to each person that you have passed the award on to in the comments section of their blog. Thanks foong...I felt really honoured! Good to know there is someone who appreciates my blog. Hi, thanks for visiting. Nice blog you have here. Keep it coming! To all award winners, you are welcome! day-dreamer and monica, thank you! Come back often!